While examining the issue of Human Resources Outsourcing, the company should be very clear on the kind of service it expects. It would do the company good to set down the present job roles and expectations to create a benchmark. 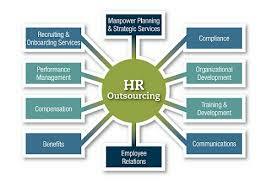 This would help in assessing the impact of outsourcing afterwards. Communication on the expectations should be very clear. Human Resources can be partly outsourced for growing businesses. This will translate into immediate savings for the business. These savings can be channelized into the business for growth.